Thrombectomy is a surgical procedure to remove the blood clots formed in the blood vessel. Cerebral infraction is an ischemic stroke that results in lack of blood supply to the brain. Neurovascular thrombectomy devices also known as cerebral thrombectomy devices are used to retrieve or destroy the blood clots in the cerebral region. The blockage in blood vessels of the brain is due to various reasons, such as atheroma, an embolus or a thrombus of one or more arteries. The blood clot formed may lead to draining or leakage of blood into the brain, if left untreated. More than 90% of strokes are of cerebral infarction in the U.S. According to the Centers for Disease Control and Prevention (CDC), around 130,000 deaths in the Americas are due to strokes every year. The World Health Organization claims that one death due to stroke occurs in every 10 seconds around the world. The risk associated with cerebral infraction are diabetes, high blood pressure, excessive smoking, hyperlipoproteinemia, atherosclerosis, obesity and hypercholesterolemia. The growing prevalence and incidence of cerebral infraction is projected to fuel the demand for neurovascular thrombectomy devices. Increasing number of patients suffering from ischemic stroke worldwide is also expected to boost the adoption of neurovascular thrombectomy devices. Rapid disease intervention and better device penetration in market could fuel growth of the global neurovascular thrombectomy devices market during the forecast period. Increasing prevalence and intervention of sickle cell anemia could also boost revenue growth of neurovascular thrombectomy devices market. These neurovascular thrombectomy devices are also used in patients where pharmacological treatment has not worked effectively. Use of neurovascular thrombectomy devices in patients with thrombolysis are more effective. The neurovascular thrombectomy devices market by product type is expected to be dominated by the stent retriever segment due to their increasing adoption by healthcare professionals. Manufacturers operating in the neurovascular thrombectomy devices market are focusing on manufacturing advanced products with better design to make the procedure easier for patients. The clinical trials have proved the advantages of neurovascular thrombectomy devices such as safety, promptness, efficiency and rapidness in management of ischemic stroke, which is also expected to propel the demand for neurovascular thrombectomy devices and fuel the growth of the neurovascular thrombectomy devices market. The ongoing studies to improve the quality of treatment and technology for cerebral stroke disorder-related devices are expected to support the growth of the neurovascular thrombectomy devices market. Increasing awareness regarding cerebral infarction is also expected to contribute to the growth of the market. Favorable reimbursements for the treatment of ischemic stroke is expected to increase the adoption of neurovascular thrombectomy devices. Neurovascular thrombectomy devices are used to remove blood clots in the large blood vessels and to re-establish normal blood flow to the brain and prevent stroke. These second-generation devices are now considered as a standard treatment for large vessel occlusions, followed by minimally invasive approach, and require advance imaging and navigation technologies. The neurovascular thrombectomy devices market is segmented on the basis of product type and end users. Based on product type, the neurovascular thrombectomy devices market is segmented into stent retriever and aspiration catheter product. Based on end users, the neurovascular thrombectomy devices market is segmented into hospitals, neuro-catheterization labs and specialized neurosurgery centers. 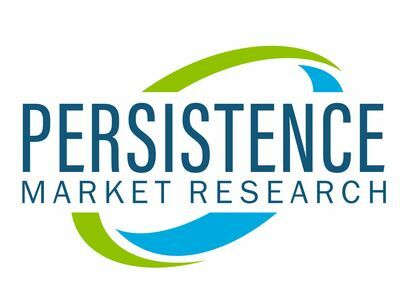 Stent retriever product type segment in the neurovascular thrombectomy devices market is expected to account for significant revenue share during the forecast period. By end users, the hospital segment in the neurovascular thrombectomy devices market is expected to exhibit attractive investment opportunities with maximum revenue share in the global neurovascular thrombectomy devices market. Some of the key companies operating in the neurovascular thrombectomy devices market, include Johnson Services, Inc., Medtronic, Penumbra Inc., Stryker, Argon Medical, Teleflex Incorporated, Boston Scientific Corporation, Acandis GmbH, Edwards Lifesciences Corporation, and Terumo Medical Corporation, among others.